Coconut coriander leaves chutney recipe - Today I am posting a very simple and easy chutney recipe for dosa, idli, uttappa and paratha. The chutney is very flavourful and tasty. Sometimes, I used to eat hot steamed rice with this it and the combination of rice and chutney are fabulous. This delectable chutney can be relished with Indian flat breads and is used as dipping sauce to samosas and pakodas. 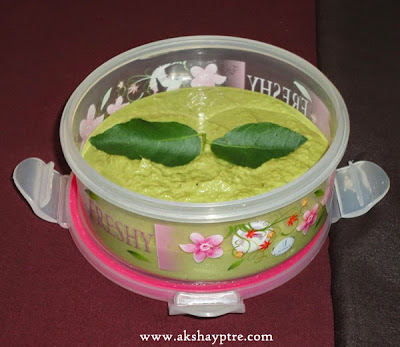 The flavor and taste of this chutney can be changed by adjusting the quantity of coriander leaves and green chillies. 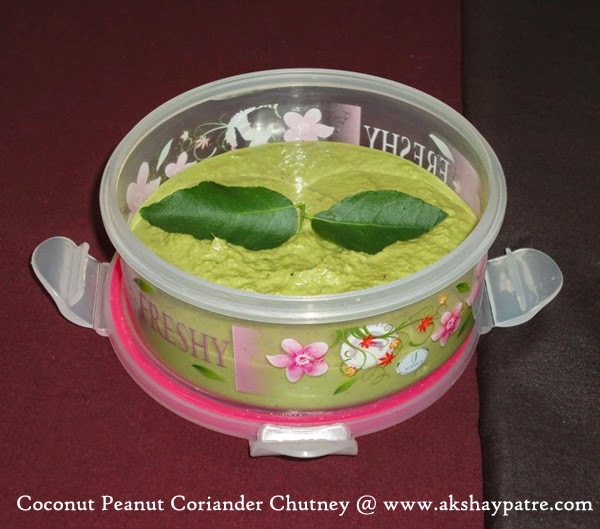 Here is how to make coconut, corianders and peanut chutney. Roast the green chillies directly on flame till some dark spot appears. Wipe and clean it with kitchen towel and chop. 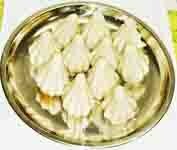 Mix the coriander leaves, pea nuts, coconut, green chillies, sugar and salt together. Grind them in a mixer, using drinking water. Once the paste become very smooth, transfer it to a bowl. Squeeze the lime into this paste and mix well. You can add tempering if you like it. Serve coconut cilantro peanut chutney with dosa, idli, uttappa and paratha.